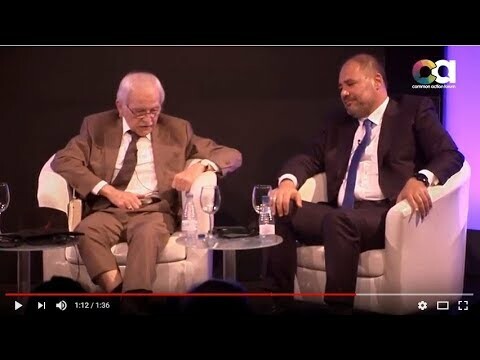 CAF 2017 - The Limits to Inequality: seeking a sustainable society. The 1970s ushered in the acceleration and expansion of productive processes that led to the so-called phenomenon of globalization. This prompted important questions concerning “the limits to growth,” primarily in the field of economics, well-known explored by organizations like the Club of Rome. At the time, the world was essentially divided in two blocs, preserving borders and territories for further expansion of modes of production. Geopolitically, there was still a substantial movement to address the tension between freedom and equality, within a labour society that had reached a comfortable equilibrium in most wealthy countries. The ensuing decades heralded the era of the information. Growth unavoidably encroached on territorial and ecological boundaries, and moreover expanded into financial and virtual realms, disposing of metanarratives. Currently on a path that inevitably will reach the planet’s limit in terms of material resources and the volatility of the virtual ones, our societies now face inequality as the most imminent threat against both establishment and marginalized groups. This reality is not simply confined to economic considerations, but affects fundamental aspects of everyday life. Given this trajectory, forty top intellectuals, politicians, academics, artists, activists and journalists will participate in the Common Action Forum 2017, seeking innovative proposals that policy makers, civil society, institutions and relevant actors can implement. Beyond the current dispute between cynicism and rancor, the Forum intends to lever progressive dynamics for sustainable relations. [Full Press Release here]. Facing the mirror: what remains of the battle between equality and freedom. Beyond entrepreneurship: real alternatives to the labour society. From facts to fake, from fake to facts: when news become a symptom. Another idea for a universal history from a cosmopolitan point of view. The forum adopts the format of roundtable debates with 40 participants in one concentric table for deep discussions and collective exchange. Each session has a first half of expert speeches, followed by a second half of open debates. Alain is a Mexican public affairs specialist with a deep international network of contacts in government, business and civil society. He currently serves as the Founding Director of 6 Degrees (www.6DegreesTO.com). Alicia Puleo is a philosopher known for her work in ecofeminism. Professor at University of Valladolid, Puleo focuses on gender inequality and feminism. She serves on the Board of the Institute for the Study of Feminism at Complutense University of Madrid. Andrés Lomeña is Program Associate at Common Action Forum. He holds degrees in Journalism and Literary Theory, as well as a PhD in Sociology. He has published several books, teaches Philosophy and writes for the Huffington Post. 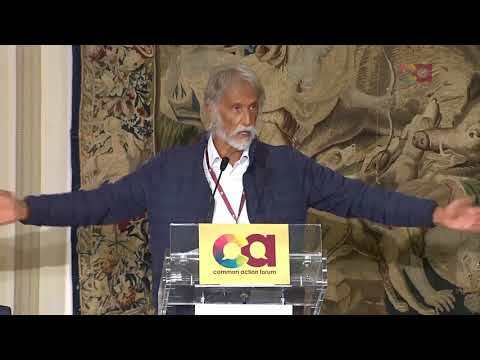 Antonio Escohotado is a renowned Spanish thinker, essayist and professor of Philosophy and Social Science. He rose to prominence for his work on how drugs play a role in culture and his trilogy The Enemies of Commerce. Ayo Obe is a legal practitioner and Co-Vice Chair of the International Crisis Group. She was President of the Civil Liberties Organisation and Chair of the Steering Committee of the World Movement for Democracy. Bob Black is an American social philosopher known for his work on anarchism. The author of various books and numerous political essays, he specializes in the sociology and ethnography of law. Bilaal Hoosein is currently Executive Producer of Acquisitions of Al Jazeera. In the past, he has worked as a professional news cameraman in Afghanistan and Iraq, as well as a producer and reporter. 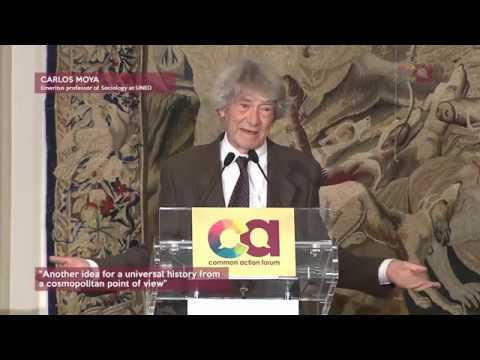 Carlos Moya is an emeritus professor of Sociology at UNED. He holds a BA in Law from the University of Valencia and studied Sociology at the University of Cologne. 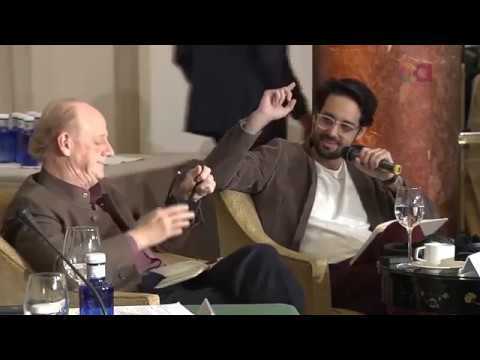 In 2010, he recieved the Spanish National Prize for Sociology and Political Science. 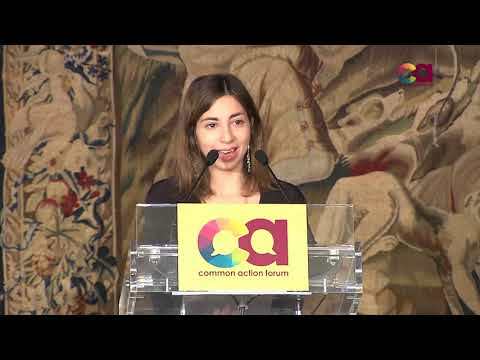 Carolina Rehrmann is Research Assistant at the Department for International Relations and the Jena Center for Reconciliation, at Friedrich Schiller University. 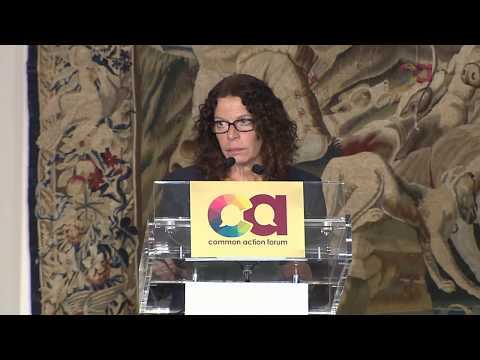 She holds a PhD from the same institution and is an expert in European cultural identities. Journalist specialized in digital innovation and human rights. Catarina holds a masters joint degree by Århus University (Denmark) and Amsterdam University (the Netherlands). She is an impact manager at NowHere Media, a multimedia studio working in films and 360°/VR experiences. 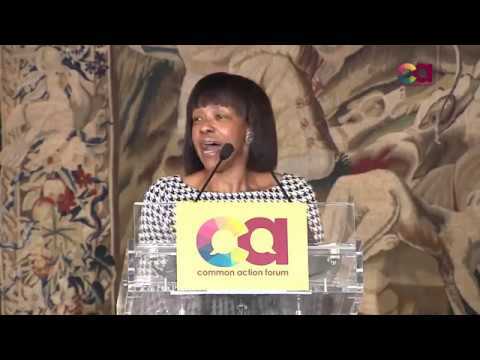 Cheryl Carolus is a South African politician who served as South Africa’s High Commissioner in London, as well as the chief executive officer of SA Tourism (SATOUR). 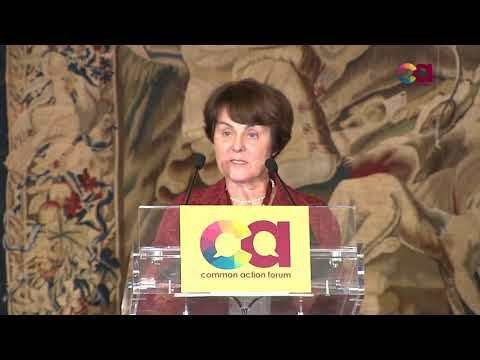 She is currently a member of the Executive Committee of the International Crisis Group. 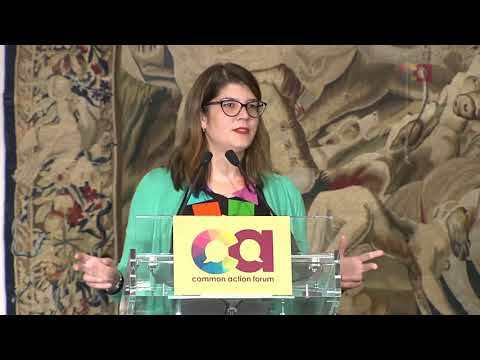 Colleen Boland, Program Associate at Common Action Forum, is a doctoral student in the sociology of migration at Complutense University of Madrid, and formerly worked as a journal editor at Johns Hopkins University. Eduardo Suplicy is a Brazilian professor, economist and politician. One of the founders and leaders of the Brazil’s Workers Party, Suplicy served as Senator from São Paulo during 25 years. 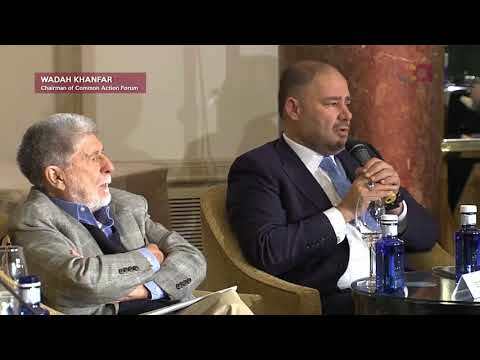 Emad Shahin is Dean of the College of Islamic Studies, Hamad bin Khalifa University in Qatar, as well as is visiting professor at Georgetown University’s School of Foreign Service and Editor in Chief of The Oxford Encyclopedia of Islam and Politics. 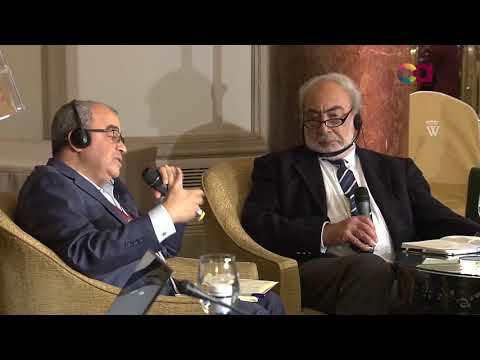 Galip Dalay is Research Director atAl Sharq Forum and Senior Associate Fellow on Turkish and Kurdish Affairs at Al Jazeera Center for Studies. He is a regular contributor to German Marshall Fund of the United States’ Turkey policy brief series, and is a columnist for Middle East Eye. Fernanda is a Chevening Fellow and international civil servant currently working for the World Health Organization. She holds a Masters in International Peace and Security from King’s College London and a Masters in International Public Law and Administration from the École Nationale d’Administration (France). 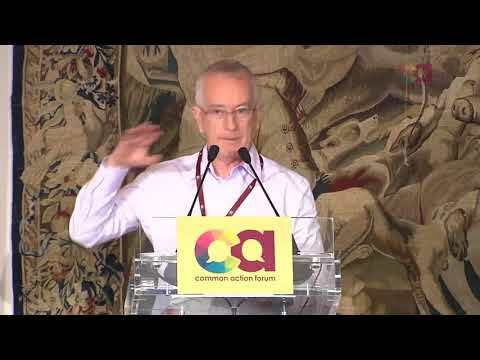 Fernando Ron-Martin is a Spanish lawyer and Secretary of the Board of Trustees at Common Action Forum. He was pioneer in challenging the Spanish legislation on ESCR right to housing at the UN International Covenant. Haroon Siddiqui is Editorial Page Editor Emeritus of the Toronto Star, Canada’s largest newspaper, and Distinguished Visiting Professor in the faculties of Arts as well as Communications at Ryerson University, Toronto. He has reported or supervised coverage of Canada for 50 years, and also reported from nearly 50 countries. Heidi Figueroa is a social psychologist, professor at the University of Puerto Rico, Rio Piedras Campus. Her research deals with the relationships between digital technologies, the transformation of everyday life, subjectivity and embodiment. Ivana Nenadovic is a producer at the National Theater of Belgrade. She is currently a member of DiEM25’s Coordinating Collective as well as an associate of DiEM25-Belgrade. She also works with “Don’t drown Belgrade”, an urban social movement. Jana Traboulsi is a visual artist and designer. Her work focuses on image making as social and political commentary. She lectures at the American University of Beirut and arts direct the pan arab quarterly Bidayat. She is a member of political movement Beirut Madinati. 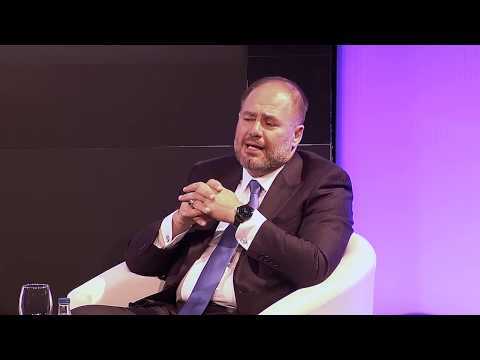 Javier López Casarín is a Mexican entrepreneur and businessman and President of the Reinventing Mexico Foundation. He has always been interested in technology and innovation, and is committed to cooperation in various important areas on a global scale. Joaquín Nieto Sainz serves as Director of the International Labour Organization Spanish office. He has founded several organizations, including Sustainlabour, ISTAS and Renovables Foundation. 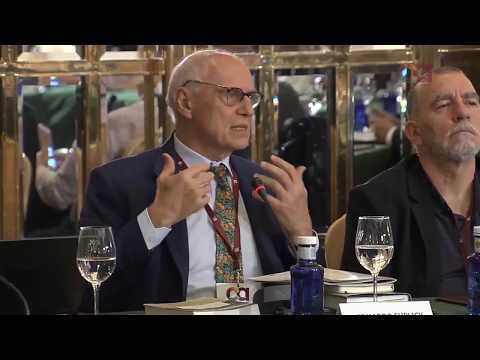 José Olives Puig is Dean of Humanities at the International University of Catalonia, where he teaches Tough and fundamental socio-political theory. He is a specialist in urban studies and applies the humanities in different fields. Liia Hänni is a former Estonian politician and public figure known for her work in pursuing Estonian statehood. She is currently Senior E-democracy Expert at the E-governance Academy, where she advises in digital democracy and civil society. 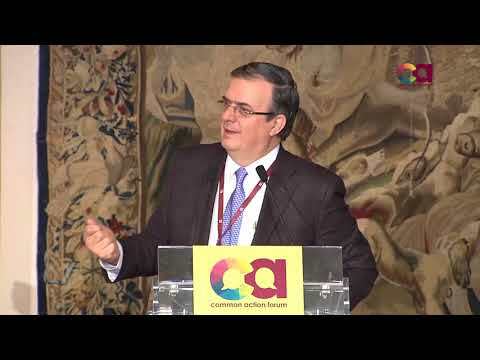 Marcelo Ebrard is a Mexican politician and current President of the United Nations Global Network on Safer Cities. 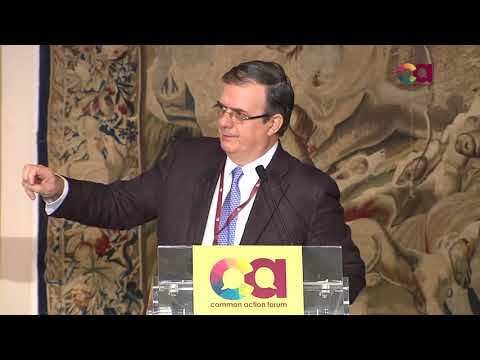 He has previously served as Mexico DF’s former Head of Government and as Minister of Public Security as well as Social Development of the Mexican Capital. Mesut Özcan is the Director of the Diplomacy Academy at MFA and iis part-time professor at Istanbul Sehir University. A Senior Associate Fellow of Al Sharq Forum, he graduated with a degree in Political Science and International Relations from Marmara University in 2000, and received his PhD in 2007. Natascha Van Weezel is a Dutch journalist and filmmaker. Her recent work has examined minority groups in the Netherlands, which resulted in the publication of her book ‘Meeting the Enemy’. 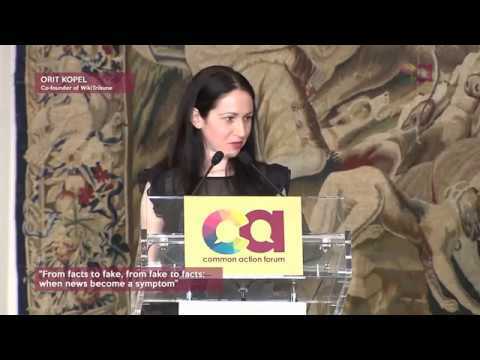 Human rights lawyer, Orit Kopel is the Co-founder of WikiTribune. She is also the CEO of the Jimmy Wales Foundation for Freedom of Expression, advocating for bloggers and social media users who are persecuted for speaking out. Patricio Cabello is professor at UAHC, Chile, with a research focus on participation, childhood, youth and media. He is Coordinator at Kids Online Chile and Research Associate at Common Action Forum. 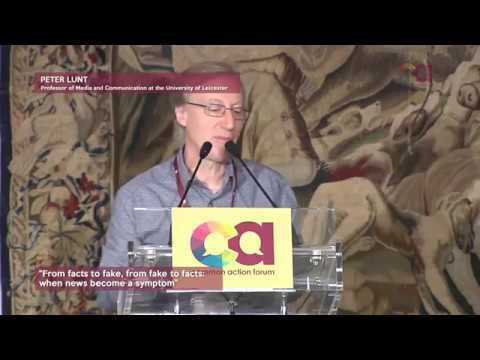 Peter Lunt, professor of Media and Communication at the University of Leicester, studies media audiences, public participation in popular culture, media regulation, consumption research and the links between media and social theory. 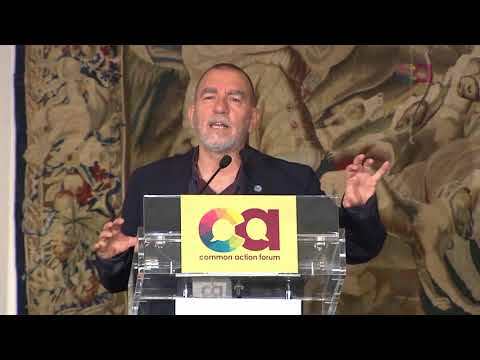 Rafael Heiber is the Co-founder and Executive Director of Common Action Forum. He is geographer and holds a PhD in Sociology from the University Complutense of Madrid. His work focuses on territorial and political implications of sociotechnical systems. Rafael Moya is Global Alliance Manager at the Common Action Forum. His expertise includes past work experience at UNCHR Spain, and he holds a Master in International Relations from the Institut Barcelona d’Estudis Internacionals. Resul Serdar Atas is a Turkish journalist who worked for Al Jazeera for four years. He was also member of Editorial Board at Euronews during two years. Currently, Serdar is Director of Programmes and Managing Editor at TRT World. Steve Keen, professor of Economics at Kingston University, is a post-Keynesian economist and critic of neoclassical economics. An expert on Minsky’s “Financial Instability Hypothesis,” he used this theory to warn of the 2007 economic crisis. Thembisa Fakude is Head of Research Relations at Al Jazeera Centre for Studies and Deputy Chairperson of the Common Action Forum. He has written extensively on geopolitics and is a regular contributor at several newspapers. 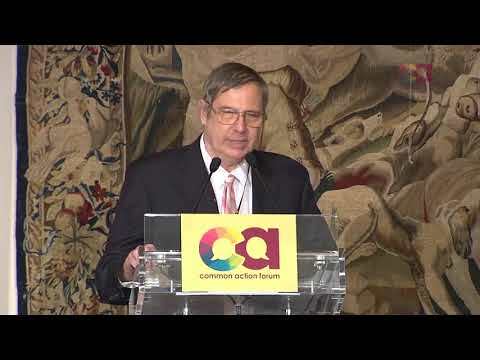 Opening Session − The Limits to Inequality: seeking a sustainable society. 1st Session − Facing the mirror: what remains of the battle between equality and freedom. This panel addresses key political dimensions within the context of a deceptive choice that remained an ongoing theme in our modern societies. Citizens have been faced with an ideological dichotomy between ‘equality’ and ‘freedom,’ with totalitarian and neoliberal regimes manipulating both terms to legitimize the rhetoric of left and right wing apparatuses. The powerful and unprecedented nature of globalization seemed to reinforce and exacerbate these fault lines and betray the purest liberal and progressive doctrines, while at the same time paradoxically ignoring that now, more than ever, we are all in the same boat. However, thanks to reflection, progress and a new consciousness that a forced and rigid choice should no longer be the sole option, we can begin to work beyond this obsolete division and take time to analyse and consider a range of viable perspectives that truly embrace principles that can promote an equitable and sustainable society. 2nd Session − Beyond entrepreneurship: real alternatives to the labour society. Labour has had a major historical influence on individual and collective identities. Etymologically, the Latin word tripalium is associated with punishment, suffering and slavery. Throughout history, the notion has evolved, purporting to incorporate values of dignity in conjunction with modes of production and modes of existence. Today, work as a social amalgamation suffers erosion, due to the new dynamics of production and consumption. This in turn, transforms, for example, classes once defined as “the proletariat” into a precarious multitude. Simultaneously, two individual and structural effects can be identified. First, a certain type of labour skill no longer serves as protagonist in how the contemporary subject constitutes its identity. Secondly, the capitalization of labour ceases to be exercised solely via an external, collective apparatus, but is instead entangled within the individual in a self-exploitative process. In other words, ideologically, labour has once again deprived itself of the maximum notion of honour that characterized it, and entrepreneurship emerges as the new paradigm to pursue. As such, a new challenge now surfaces. The entirety of accumulated development over the last decades and the new place that the work will occupy in the life of the citizens will require new economic policies to improve the quality of social forces, to regulate the appropriation of common goods and to provide balance to a system that may be on the verge of collapse. 3rd Session − From facts to fake, from fake to facts: when news become a symptom. The power of information, including the tendency toward propaganda that news can sometimes assume, is neither novel nor surprising. Facts, in this case, are quotidian or existential realities that can be objectively explained within both a descriptive and interpretive logic of social repercussions. Nor is it unprecedented that, via a reflexive dynamic, news can transform into the repercussive effects of facts. The entirety of the underlying logic permeating our information society corresponds to a discursive construction, generally hegemonic, that sustains certain visions of the world and reaffirms a purported state of things. However, the paradox of this dynamic stems from a multidirectional framework of communication that is indeed capable of jeopardizing its fundamental logic. That is, such communication’s drive for the increased consumption of information can lead to disinformation that shapes and affirms opinions remote from facts. 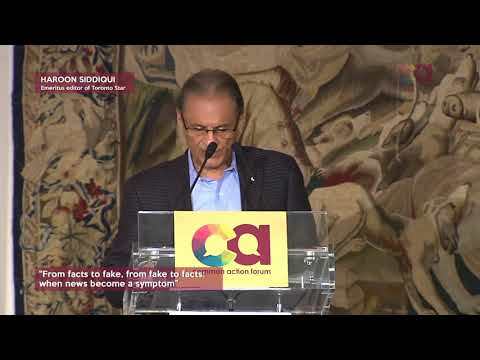 Faced with this situation, there is a consensus among both left and right-wing parties and NGOs that a debate about post-truth or fake news can serve as an effective strategy to encourage engagement and participation. These situations lead to questions like: what can be done today to prevent information from becoming a populist weapon, and to instead to employ it as a means of emancipation? what is the role of new activist media and grass root-media? how digital technology is helping to overcome boundaries of hegemonic media allowing to unveil inequalities, social process and crisis? 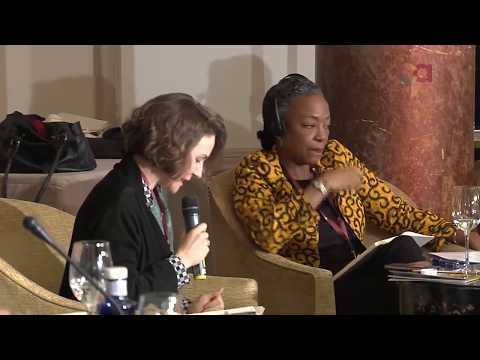 how can we work to encourage a new pluralistic and ethical journalism? 4th Session − Another idea for a universal history from a cosmopolitan point of view. This session aims to be politically and cosmologically provocative as well as intending to provide a thorough analysis on classical dilemas such as changes in the formulation of freedom, equality and fraternity as concepts that have been guiding western society since the XVIII century. In 1784, Immanuel Kant wrote “Idea for a Universal History from the Cosmopolitan Point of View,” where in nine fundamental thesis Kant illustrated human society’s place in history and nature. Two centuries later, the root of many problems faced by today’s globalized societies lies in the hegemony of a Western point of view, distant from any cosmopolitan essence. In fact, in the practical sense, contemporary cosmopolitanism could be associated to a cosmetic device championing logics of diversity, abundance and unilateral accumulation, meanwhile security seems to replace fraternity as one of the fundamentals of modern democracies. To really face present inequalities, a new pact at a social scale is required. This pact needs to adopt a much more complex, ecological and technological approach to understand and create new collective solutions based on diversity and a reformulation of the power structures that shape gender relations, media concentration, consumption, authoritarianism and individualism in our present society. 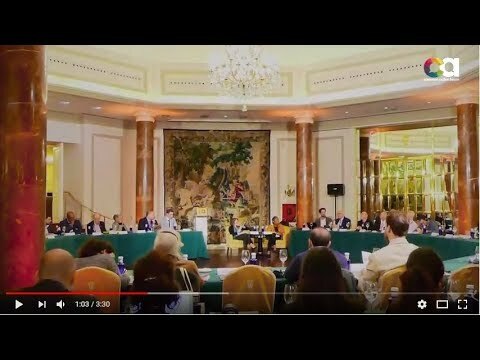 CAF2017 - The Limits to Inequality: seeking a sustainable society.